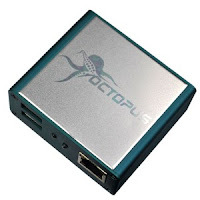 Octoplus/Octopus Box LG v.2.5.3 is out! Added world’s first support for LG K220, LS676, VS500, VS986W, support for VS986, LS450, H630, H630D, H630I, H634, H636, UK410 and more. – K220 – added world’s first Direct Unlock, Read Codes, Repair IMEI, Reset FRP Lock, Read/Write Firmware, Read/Write EEPROM, Read Full Flash, Repair BT/Wi-Fi MAC Address, Read Info (thanks to mr. MOBICOM). – LS676 – added world’s first Direct Unlock, Repair IMEI, Read/Write NVM, Read/Write QCN, Read/Write Security, Reset FRP Lock, Read/Write Firmware, Read Full Flash, Repair BT/Wi-Fi MAC Address, Repair MEID, Read/Write PRL, Repair AKEY/SSD_A/SSD_B/OTKSL/SPC (thanks to mr. Ritesh). – VS500 – added world’s first Repair IMEI, Read/Write NVM, Read/Write QCN, Read/Write Security, Reset FRP Lock, Read Firmware, Read Full Flash, Repair BT/Wi-Fi MAC Address, Repair MEID, Read/Write PRL, Repair AKEY/SSD_A/SSD_B/OTKSL/SP (thanks to mr. Christianj31). – VS986W – added world’s first Repair IMEI, Read/Write NVM, Read/Write QCN, Read/Write Security, Reset FRP Lock, Read Firmware, Read Full Flash, Repair BT/Wi-Fi MAC Address, Repair MEID, Read/Write PRL, Repair AKEY/SSD_A/SSD_B/OTKSL/SPC. – VS986 – added Repair IMEI, Read/Write NVM, Read/Write QCN, Read/Write Security, Reset FRP Lock, Read Firmware, Read Full Flash, Repair BT/Wi-Fi MAC Address, Repair MEID, Read/Write PRL, Repair AKEY/SSD_A/SSD_B/OTKSL/SPC. – LS450 – added Direct Unlock. – H630, H630D, H630I – added Reset Security. – H634 – added Reset Security. – H636 – added Reset Security. – UK410 – added Reset Security.
? Improved “Repair IMEI” operation for K550x series.